From the #1 New York Times bestselling author of The Isle of the Lost, Alex & Eliza and Something in Between comes a powerful story about learning to love yourself.Olivia "Liv" Blakely looks like she is living the perfect life. She's caught the attention of her teen TV-star crush, started rubbing elbows with the popular crowd, and her dad is running for governor. There's a lot to Like.But the outside world never sees the full story. With all the good fortune piling on, Liv has been feeling the pressure, too: pressure to maintain that perfect image for her family, her new friends and the public, who love to find fault on social media. Behind Liv's sunny, charming facade is a dark inner voice that will settle for nothing less than perfection--no matter the cost. 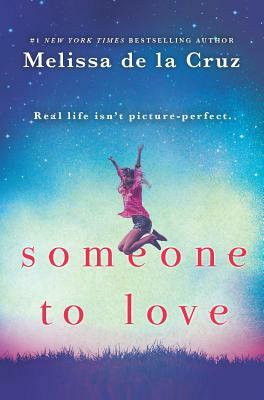 Soon Liv's struggle to shine in the spotlight becomes a daily battle with self-doubt and bulimia.As the high price of perfection puts her in danger of real bodily and spiritual harm, Liv will have to learn that there is no one out there worth loving more than she loves herself.